INDIAN CENTRE FOR ADVANCED SCIENTIFIC AND TECHNOLOGICAL RESEARCH (ICASTOR) has been set up with a view to promote, encourage, facilitate and organise scientific and technological research work. The Centre is devoted to advancement of science and technology that may prove beneficial to humanity in its endeavour of building a better world. 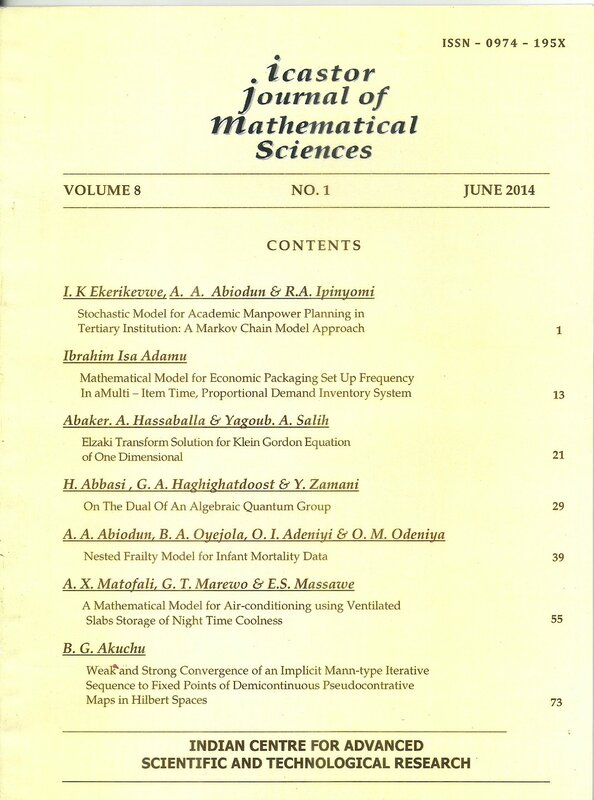 Keeping in view of the above, the Centre publishes ICASTOR JOURNAL OF MATHEMATICAL SCIENCES. This open access journal devotes itself to publication of original research papers and research notes with special emphasis on unsolved problems and open questions in different branches of Pure and Applied Mathematics, Statistics and Computer Science. It is brought out twice a year, the first issue in June and the second in December. 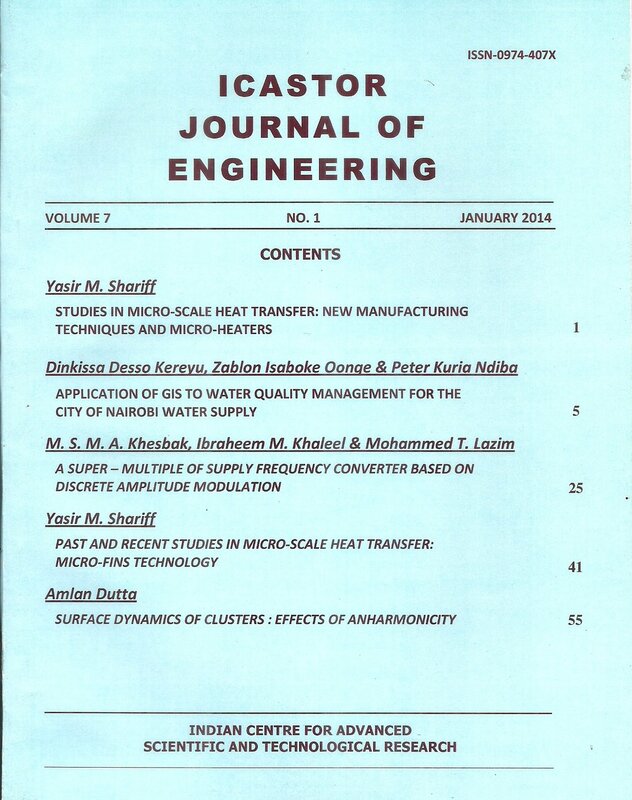 Also keeping in view of the above, the Centre publishes the ICASTOR Journal of Engineering. This open access journal devotes itself to publication of original research papers and research notes with special emphasis on unsolved problems and open questions in different branches of Engineering. It is brought out thrice a year, the first issue in January, the second in May and the third in September. We in ICASTOR are proud to have a group of eminent scientists and scholars from various corners of the globe in the Editorial Advisory Board of the Journal. Research workers all over the world are invited to publish their original research papers and research notes in our forthcoming issues. We believe that active cooperation from the scientific fraternity will enable this journal to achieve its goal and make it a successful event.